San Pedro is a paradise for those who love life by the water. Eileen Jamison has spent 20 years living on Ambergris Caye in Belize. She is from a small city in northwest Pennsylvania where she worked as a pharmacy technician and inventory manager. She and her husband, Dan, loved to travel and shared a dream of living on an island. They visited islands from the Eastern Caribbean to the Pacific, then looked to Belize in the Western Caribbean. Eileen has seen her adopted hometown of San Pedro grow from a fishing village with coconut plantations to the bustling, colorful town it is today—with the gorgeous turquoise water as the main attraction for divers, snorkelers, and anglers. During Eileen and Dan’s first year on the island they took over the local newspaper, The San Pedro Sun. With no experience whatsoever, they ran it well and watched it blossom—learning a lot in the process. “When you see a need in this small environment, that is the signal to get busy and start something,” Eileen says. She did that very thing when she saw a need for an animal welfare society to care for the island’s strays. She and six friends started the first Humane Society on Ambergris Caye and named it Saga after a founder’s dogs. Today Saga saves many animal lives, educates children and adults about good animal care, shelters animals, helps islanders adopt pets to love, and has veterinary services. The opportunity eventually arose for Eileen and Dan to sell the newspaper business. They did so, and started an ice cream shop which they still run today. Eileen loves it because it is like getting paid to entertain people. They pride themselves in serving only ice cream with the best ingredients, which they import. She also enjoys serving tourists and locals who have a special place in her heart. 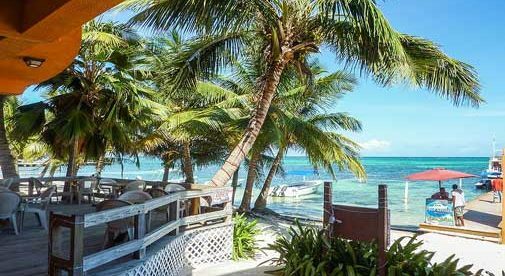 “You can choose how you want to live on Ambergris Caye,” Eileen says. “It can either be on the expensive end if you want to replicate your life in North America, or you can live quite nicely in a more Belizean way, or mix it up any way at all.” Figuring out what is needed and making it happen is how Eileen has survived so well. 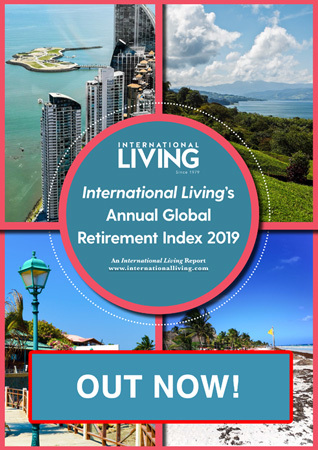 Her advice to expats moving to Ambergris Caye is to do their homework, pick a spot to rent and live there for six months to a year before committing to home or business ownership. In essence, get to know the area, its people, and the ins and outs of conducting business before proceeding. The people who move too quickly and are unrealistic about life on an island in a foreign country, may not stay. However, if you are open to a new culture, and are willing to learn about it, you are likely to be pleasantly surprised, exactly like Eileen was 20 years ago. Ambergris Caye is her home and she sees limitless possibilities for herself in the future because she understands and loves her environment.